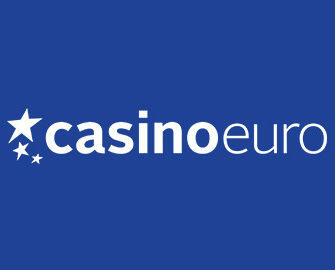 Casino Euro – Winter is coming! Play to collect your tickets and FS! Play Wolf Cub™ to win a very cool €2,000 in cash! Say ciao to the summer because “Winter is Coming” in this super cool €10,005 prize draw where you could get your teeth into one of the 500 cash prizes up to €2,000 and take your place as leader of the pack. Simply play the new Netent slot Wolf Cub™ to earn tickets to the raffle which will take place on 11th September 2017. To make it even juicier, all players can collect up to 100 Free Spins on the game. Not yet warming up on the reels at Casino Euro? Then sign-up now to claim their 100% Welcome Bonus, up to €150! Try Wolf Cub™, the latest slot creation from the Swedish studios of Netent, at Casino Euro from 7th to 10th September 2017 and you could win up to €2,000 in cold hard cash. A total of 500 prizes are up for grabs in this network wide Netent prize draw, with all being credited as cash, no wagering requirement. Additionally, all players taking part will be rewarded with Free Spins on the game. Collect one ticket to the draw for every €10 or currency equivalent wagered on Wolf Cub™, with the maximum capped at 50 tickets per player per day. On 11th September 2017, Netent will draw 500 winning tickets from all eligible entries. Winners will be selected from across the entire network. of participating casinos. Prizes will be credited within 72 hours in cash, no wagering requirements. 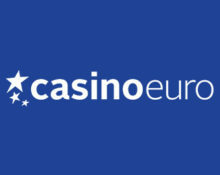 To make it even juicier, Casino Euro will reward all participating players with Free Spins to play on Wolf Cub™, just by earning those draw tickets. Amount of Free Spins is calculated according to the total amount of collected tickets during the campaign and will be added on 11th September 2017. Wagering requirement is 15x FS winnings within five days.